Barriere Construction is proud to announce it will be one of the 22 homes that are a part of this year’s Cavalcade Tour of Homes. The Cavalcade Tour of Homes showcases some of the most magnificent and creative homes built in the Chicago area, from five different counties. The homes on the tour are from some of the top home builders in the greater Chicago area and is a must-see tour for home lovers and home builders alike. 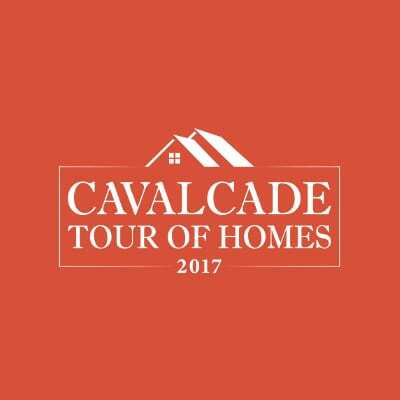 The Cavalcade Tour of Homes 2017 takes place from September 7th to September 17th. The homes will be open for viewing on Thursday and Friday from 4 p.m. to 8 p.m., Saturday from 10 a.m. to 6 p.m., and Sunday from noon until 6 p.m. Some of the event’s major sponsors include James Hardie, Masonite, and Alexander Lumber. The event is presented by NIHBA. Barriere Construction’s The Stonehenge is going to be one of 22 homes on the Cavalcade Tour of Homes 2017. The Stonehenge keeps up with Barriere Construction’s goal to build stylish yet eco-friendly and energy efficient homes. The home itself is equipped with solar panels, thermal barrier walls, and many energy efficiencies incorporated throughout the home. It is a twist on the Modern Farmhouse and keeping with tradition of Barriere Construction, is built above and beyond the home building standards of today. It was built with longevity in mind, so future generations can enjoy and marvel at the beauty and uniqueness of this one of a kind home. Barriere Construction has a rich history of building homes and other building structures and that building bug has been a part of the family since 1906. What started off as lunch wagons, turned diners, eventually evolved into home construction of the highest quality and caliber. Maintaining that tradition, Adam Barry brought his experience as a project manager for his father’s luxury home building company and began designing and building high-end homes for the people of the Chicago area. Adam Barry and Barriere Construction have adapted their methods into the “green era.” When building new homes, they focus on creating these homes that are eco-friendly and energy efficient, while keeping their creative and stylish touch on every project they undertake. They utilize solar panels and even build homes with electric charging stations for cars. Tickets are now on sale for the Cavalcade of Homes Tour 2017. This is a great opportunity to see what some of the top Chicago area home builders are capable of and gives you a chance to explore Barriere Construction’s very own Stonehenge. You can contact the NIHBA at 630-978-9000 or click on the contact link for more information about this year’s tour.